WhatsApp app is a well-known messenger allowing people from all over the world to communicate in a separate app, with close people, friends, colleagues and even maintain any kind of business. Individuals got to using it every single day but little do some of them know about other features and opportunities that integrated into the app. 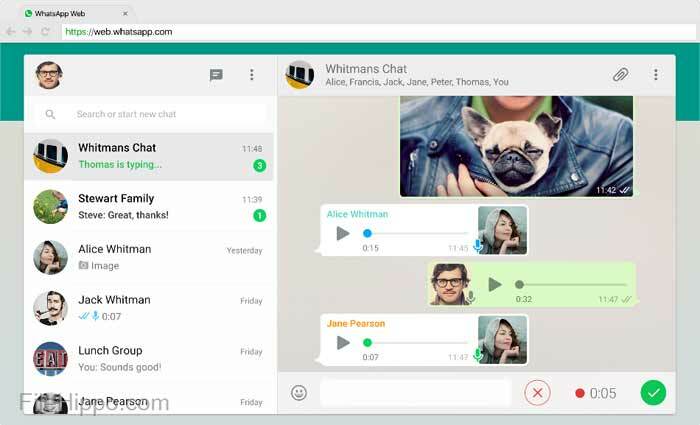 Communicate and chatting with friends on the phone is definitely cool, but do not forget about the brand new desktop version of this popular application. Utilizing WhatsApp on contemporary mobile devices such as Android smartphones and iPhones, indeed, provides a huge range of certain opportunities and privileges. But in some cases, it is necessary to have such an application on your computer due to not being able to reach the phone at the moment. WhatsApp for Windows desktop allows staying in touch with all the contacts from your phone but on your computer. It is also good for those people who use a computer more than their phones but want to continue communicating with friends, family etc. How does WhatsApp desktop version actually work? As simple as that, WhatsApp desktop version mirrors all the chats, messages and group conversations from a mobile device the one uses, whether it is Android or iOS one. The desktop application is available for computers running Windows 8 and onwards, as well as MAC ones running OS 10.9 and newer. To be able to synchronize all the contacts, chats and group conversations, it is necessary to install desktop version first, which can be easily found on the official website of WhatsApp. 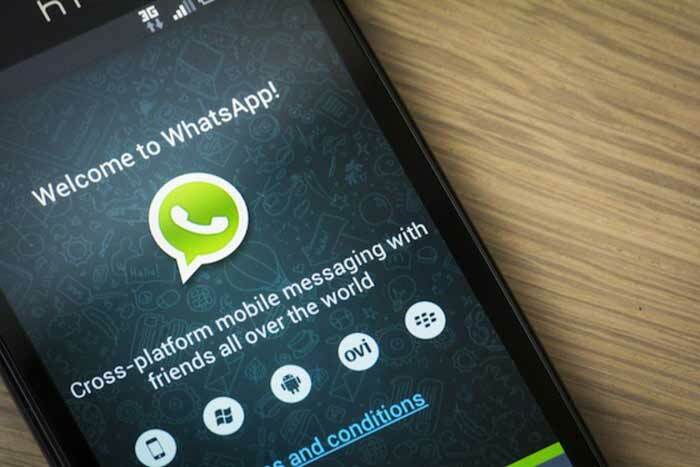 Afterward, the one needs to scan previously provided QR code by using WhatsApp application on its mobile device, which can be easily found in the settings of the application. One of the main advantages of a desktop version of WhatsApp is that users do not need to open a separate tab in a particular browser as WhatsApp runs within a separate window. It shares all the same features provided in the mobile version. Not only can the one use WhatsApp as a desktop version but also boost any business. Notice that WhatsApp application for business is nowadays available only as an Android app but creating a similar version for the iOS operating system is in plans. This allows users of WhatsApp business application to track the number of messages that have been successfully delivered, sent, as well as read. Certain messaging tools provide the opportunity to create a quick reply to the customers. Furthermore, the tools also help the user of WhatsApp business application to sort, automate and create a quick response to customers’ messages. This feature is also known as message templates. Creating special business profile allows the owner of the particular business to mention important information and details of the company, which usually includes the address of the particular company, as well as its email and website if there is one. Additional information. Providing necessary additional information help the customers of the particular company the one owns to identify its category, as well as grab the necessary information. When it comes to stores that communicate with their customers online too, it will be good enough to mention working hours of a particular store as well as its location and even description. In fact, this application provides the opportunity to create text messages of different styles previously set by the user. There are only three available nowadays and they can be easily enabled when knowing the right way. To be able to create bold text, the one needs to put an asterisk before and after a word or a whole sentence. The same goes for text in italics style and strikethrough, the only difference is that for italicizing text it is necessary to add underscore, for strike through one just go for tildes. In case there is any important message the one does not want to get lost in a bunch of other text messages, WhatsApp allows to star it, which means it can be afterward found in settings within the application. This feature is available on both Android and iOS devices. When it comes to the situation when it is necessary to mute particular conversation due to having an important meeting or so, WhatsApp allows doing that too. To be able to mute a chat, long-press will be enough to enter a separate menu at the top of the application and press speaker icon. Afterward, the application requires setting the time conversation will be muted for.